Ghana flags were among the first to be designed and flown following the success of the decolonization movement in Africa during the middle of the 20th century. The people of Ghana were some of the only people in Africa to represent themselves with a national flag prior to the colonial period, so it is fitting that they were among the first to gain their new national flag in the modern era. Ghana flags are horizontal tribands of red, yellow, and green with a black star in the center of the field. 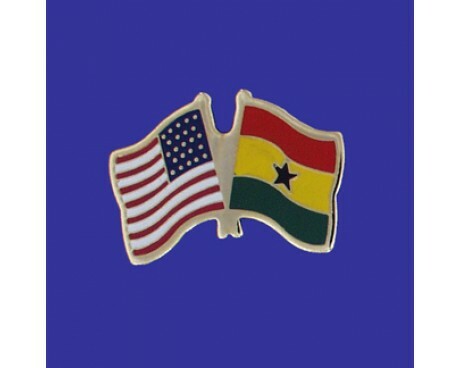 The red band represents the blood that was shed during the nation's independence movement, the yellow band is a symbol of the nation's vast mineral wealth, and the green band is a symbol of the nation's forests. The black star represents the liberation of the African people from European rule. The combination of the four colors is a symbol of Africa as a whole, and they are drawn from the Pan-African flag. 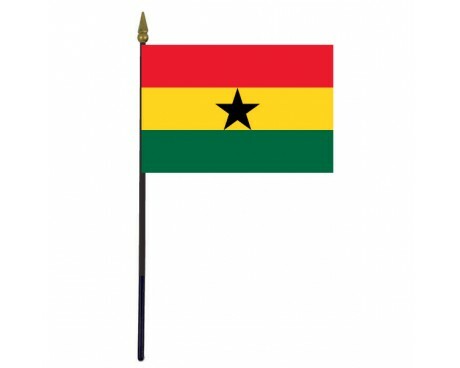 The oldest flag to represent Ghana was that of the Ashanti Empire, which ruled the region before the colonial period. 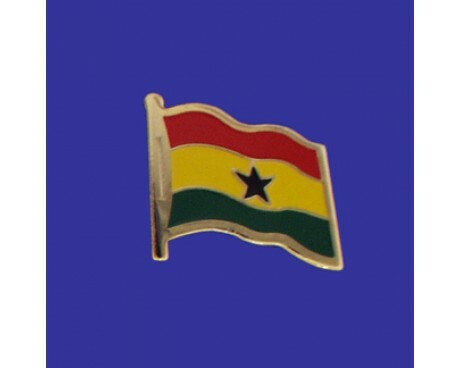 The flag fell out of use in Ghana when the British Empire established the colony of the Gold Coast, which included the territory that forms modern Ghana. The colonial flag resembled that of other British colonies. It included a solid blue field with the Union Jack in the canton and the colonial coat of arms in the fly. The coat of arms displayed an elephant walking through the African wilds in reference to the region's natural wonders. Ghana gained its independence from the British Empire in 1957, and it immediately adopted a new flag in honor of the occasion. The design that the government adopted was the same as the modern design, but it fell out of use in 1962. The replacement flag had stripes of red, white, and green instead of the current flag's stripes. The design was only used for four years before it the government chose to readopt the old design in 1966. That flag remained popular with the people, and it has not been changed since that time.